Lago di Sankt Moritz or Lake St. Moritz is a lake near St. Moritz, Switzerland. 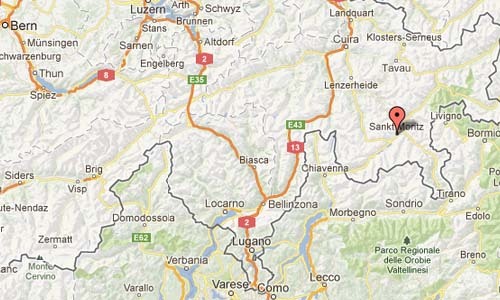 With a surface of 0.78 km², it is smaller than the main lakes of the Upper Engadin valley (Lake Sils, Lake Silvaplana). Every January or early February, Polo matches are held on the lake. Compared to polo played in the summer, a slightly larger and lighter red ball is used that is easily visible in the snow. St. Moritz or Sankt Moritz is a resort town in the Engadine valley in Switzerland. It is a municipality in the district of Maloja in the Swiss canton of Graubünden. The highest summit in the Eastern Alps, the Piz Bernina, lies a few kilometres south of the town. In 1928 St. Moritz hosted the 1928 Winter Olympic Games and the stadium still stands today. It later hosted the 1948 Winter Olympic Games. St. Moritz has hosted over 20 FIBT World Championships, three FIS Alpine World Ski Championships (1934/1974/2003) and over 40 Engadin Skimarathons since 1969. It has also hosted many other events since, including some unlikely ones on the frozen lake in the 1970s and 1980s such as a golf tournament, (1979), a polo tournament (every year in February starting in 1985) and cricket (1989). 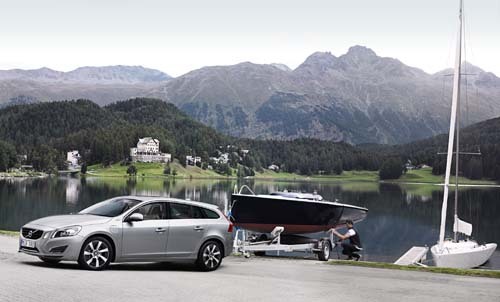 St. Moritz has also been the venue for many Sailing and Windsurfing World Championships. Since the early 1980s St. Moritz is also promoted and known as Top of the World. The expression was registered as a trademark by the tourist office in 1987. Between 9–12 June 2011, St. Moritz was the site of the Bilderberg Group conference, an annual, unofficial, invitation-only conference of approximately 120 to 140 guests from North America and Western Europe, most of whom are people of influence. The hotel in the background is the Waldhaus am See, along side the lake. More information at www.waldhaus-am-see.ch, www.stmoritz.ch and en.wikipedia.org.